I don’t like working too hard though, and thus I spent even more time writing up a calibration routine that will make it child’s-play… Well, almost. 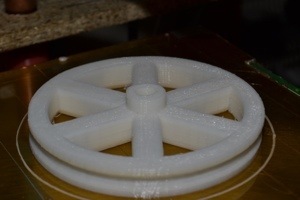 Here is the wheel I printed for a small tricycle. The orginal calbration routine zeroed the arm angles to a line drawn on the top platform. While it works well enough, it caused the wheel to be slightly oval. While this does not subtract from it use, it is not quite how it is supposed to be. In order to fix that, I had to change the way the calibration is done in order to focus on the angle difference in stead of the actual angles. Psi is now calibrated to Theta. I am going to make some special phantoms in order to make the calibration process a bit smoother. After playing a lot with the steps per angle, I found a way to calculate the steps. The steps combined with the scaling factors makes it possible to get a perfect circle. 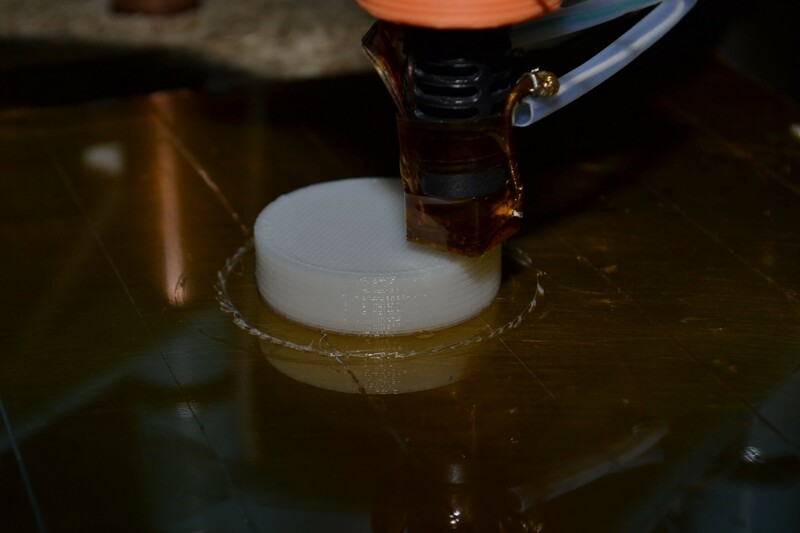 Previous post: And… it prints! That is looking *really* nice!